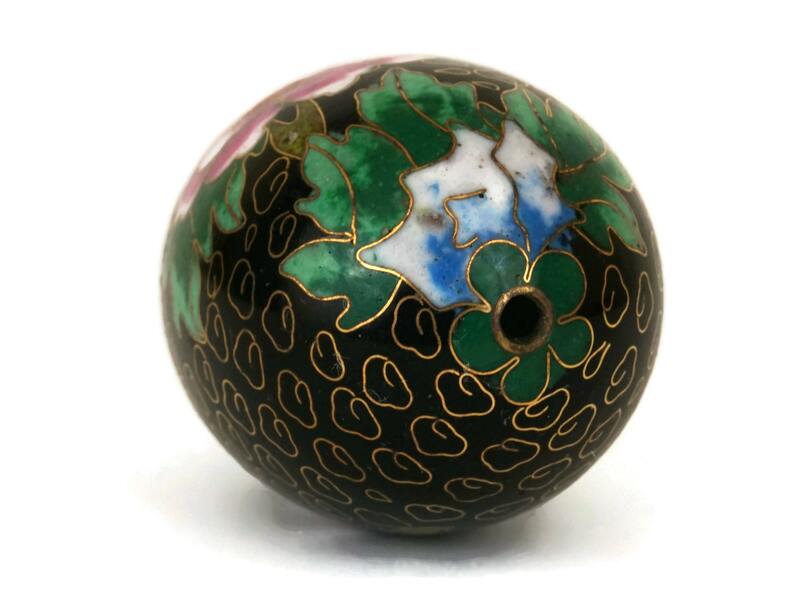 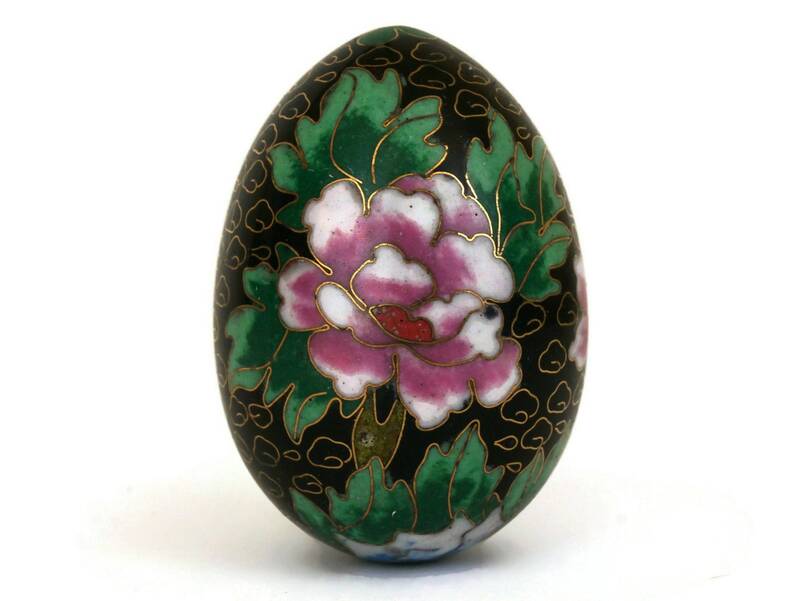 A charming vintage Chinese cloisonne egg. 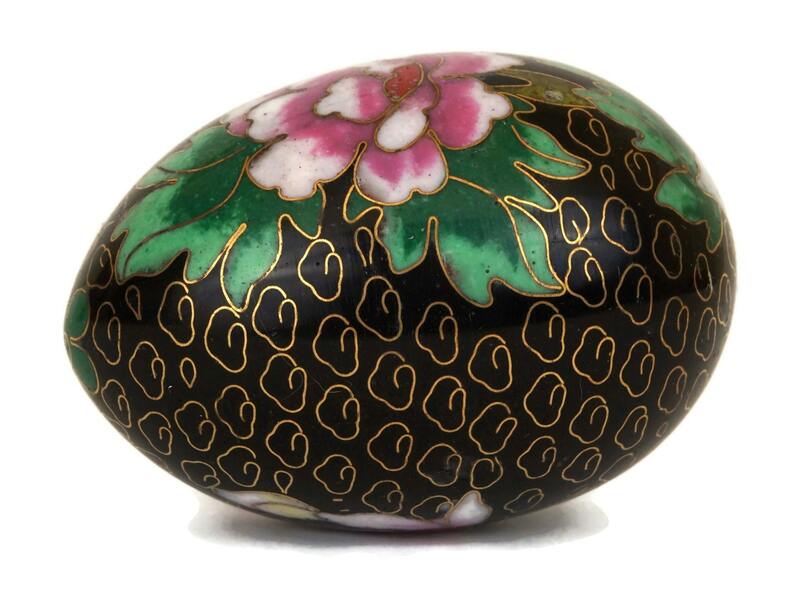 It has been made form brass and hand decorated in rich jewel shades of enamel against a deep black background. 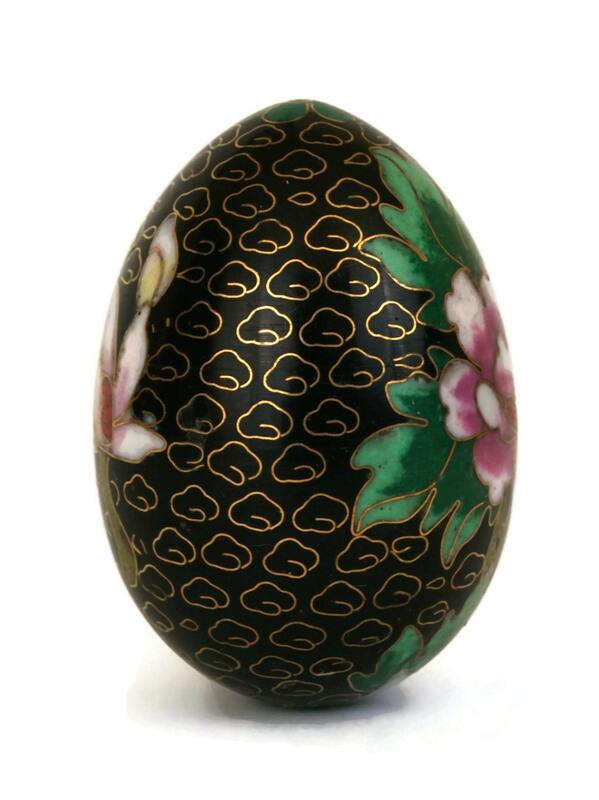 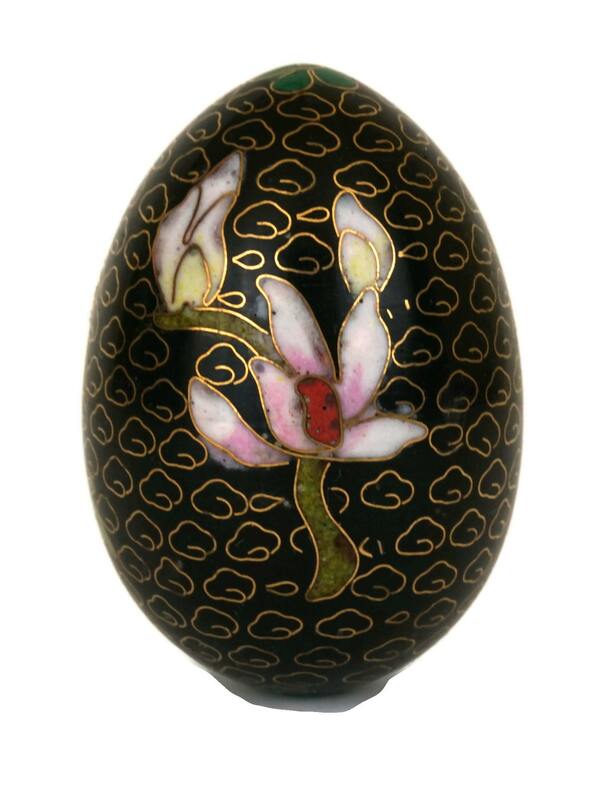 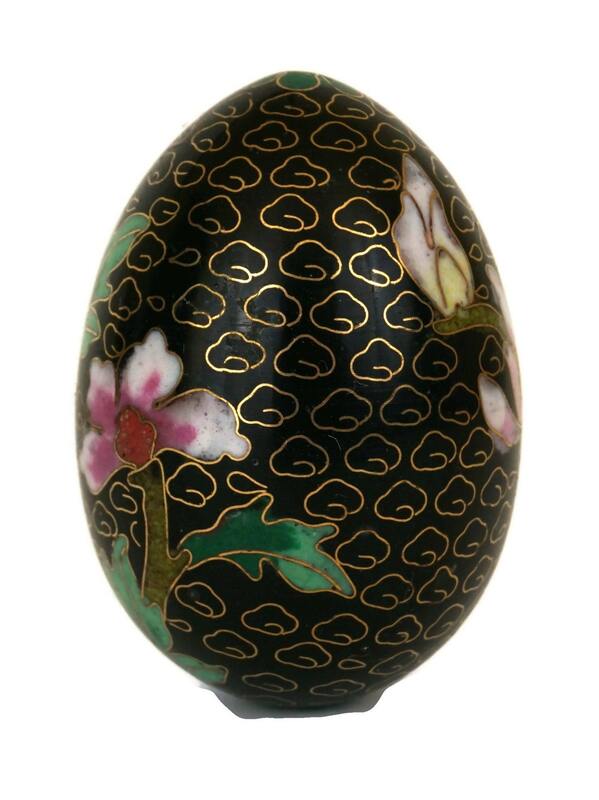 The collectible Easter egg ornament features classic Asian flower and cloud patterns and the interior and base are decorated in black enamel. 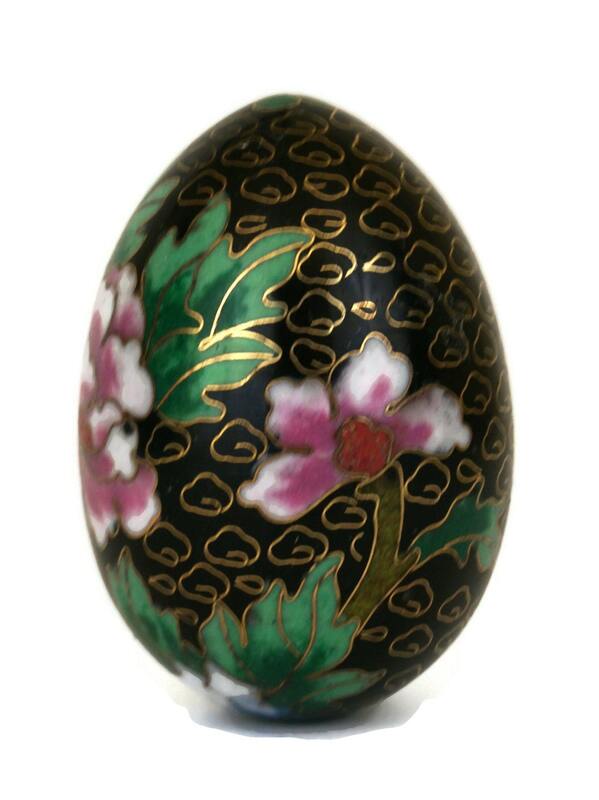 There is a small hole on the underside to allow for the egg to stand upright. 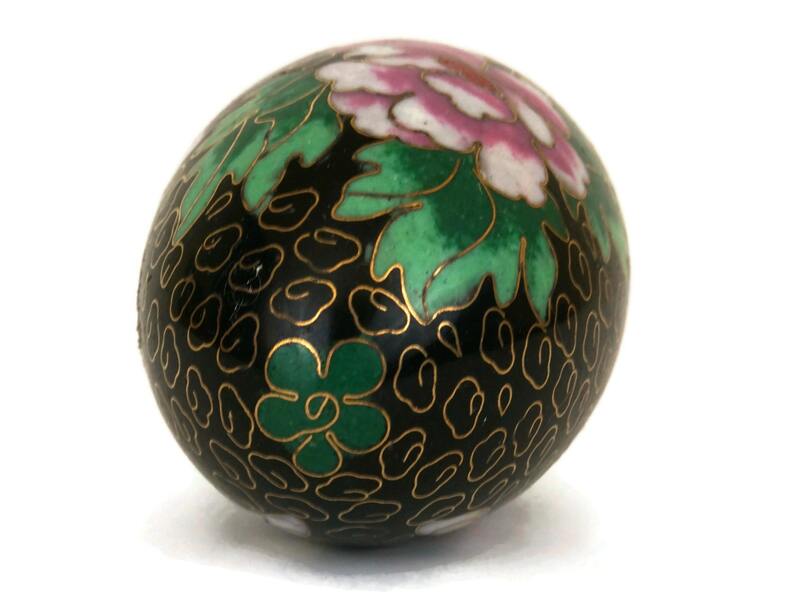 (6,5 cm x 4 cm). 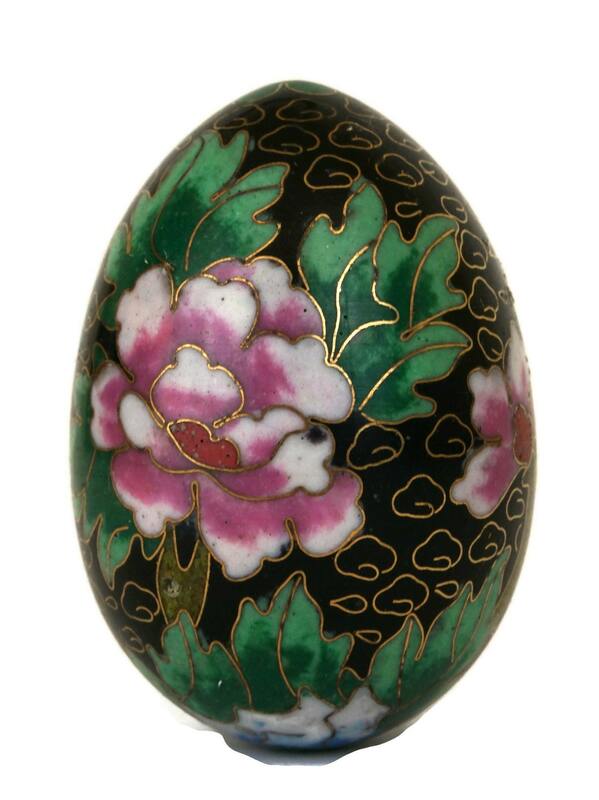 The cloisonne egg is in very good condition. 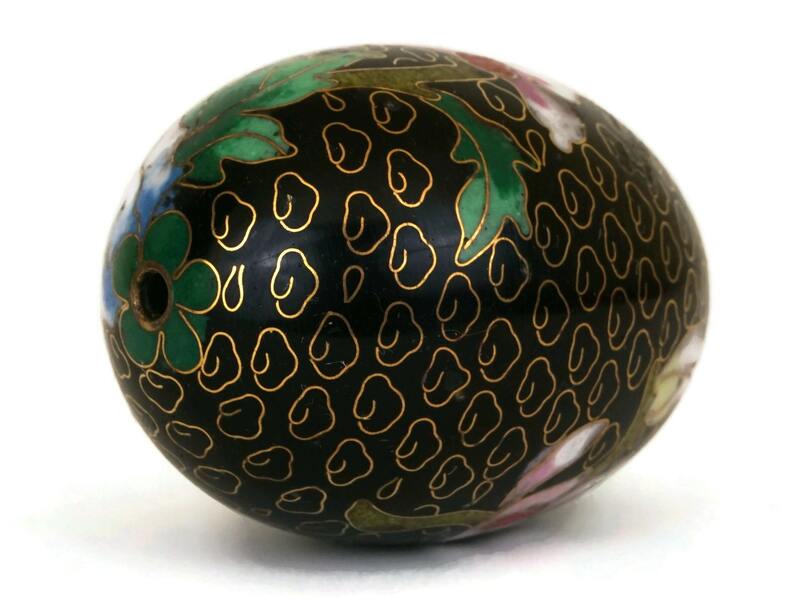 There is no damage to the enamel.